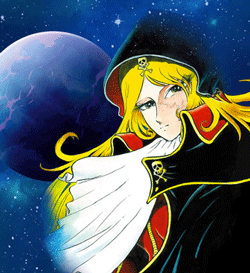 The epic space opera Queen Emeraldas from Kodansha is the first release of manga in English by legendary cartoonist Leiji Matsumoto since 2002. Kumar and fellow Matsumoto advocate Ryan Cecil Smith dig into the recently-released first book of the 2-volume series and discuss Matsumoto’s relative obscurity in the West, the brutal morality of life in space, and potato heads on the sea of stars. No user commented in " #512 “Queen Emeraldas” "